Lemon Blueberry Cinnamon Roll Bake is written by me on behalf of Pillsbury™. All opinions are entirely my own. This shop has been compensated by Acorn Influence, Inc. and its advertiser. Spring is finally in the air and I’m looking forward to celebrating Easter with a big family get-together. The entire family comes over for brunch on Easter Sunday and I’ve been diligently working on my menu. 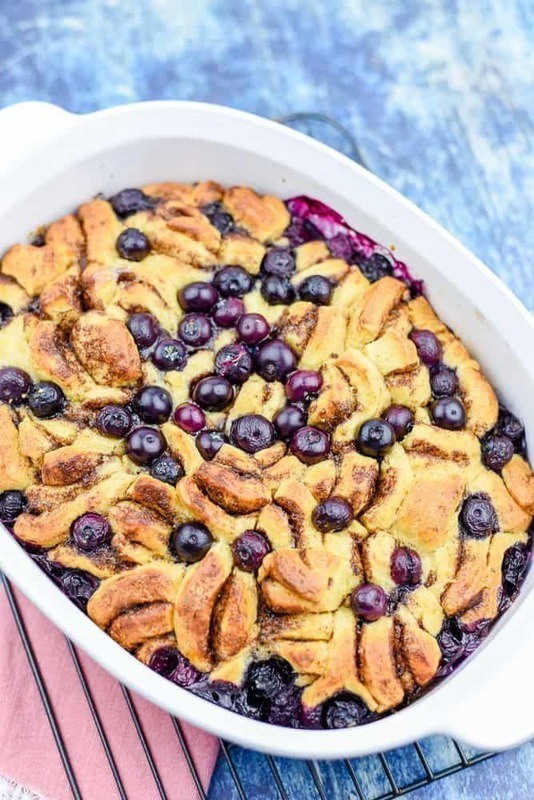 This time around my family brunch includes the addition of a delicious Lemon Blueberry Cinnamon Roll Bake. 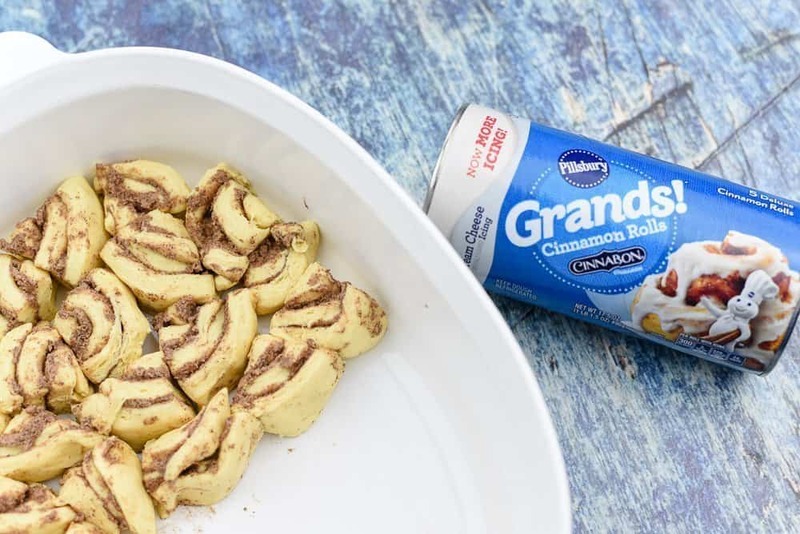 It’s so easy to make because the recipe begins with Pillsbury Grands!™ Refrigerated Cinnamon Rolls with Cream Cheese Icing. As you probably know by now, Pillsbury Grands!™ Refrigerated Cinnamon Rolls are always a part of our big family celebrations. I always serve them on Thanksgiving and Christmas mornings. We also enjoy them at Easter. I’ve added a little spring twist to this family favorite and I know you’re going to love it. As I plan my menu, I also think about my family’s Easter traditions. A few months before Easter, I get together with my daughter and daughter-in-law and we begin the search for the perfect Easter outfits for the kids – my treat. Since I have 5 grandsons, we’re on the hunt for outfits that are color coordinated. I’ll be taking tons of photos until the boys manage to escape when I look the other way. After a lovely brunch, the kids are ready to get the hunt going. We always hide way too many eggs and I don’t think they’ve ever found them all. I usually find the ones that were overlooked while I’m working in my flower garden a few weeks after the big hunt. 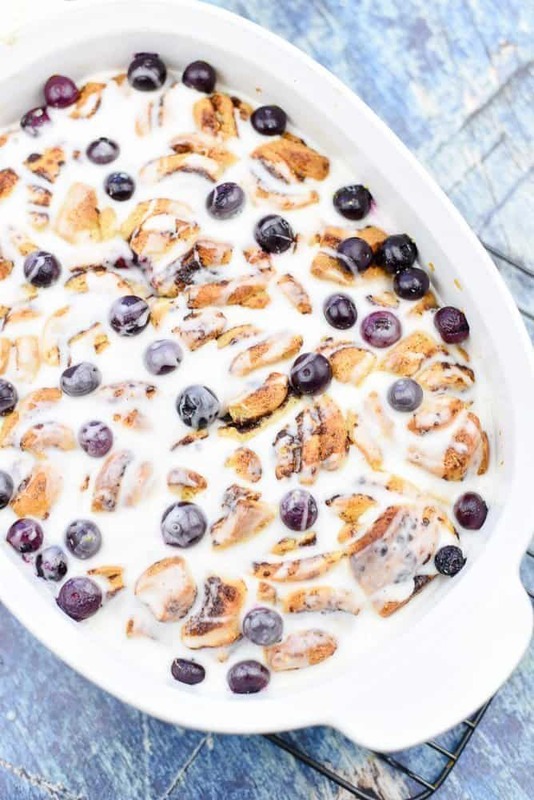 Speaking of brunch, my Lemon Blueberry Cinnamon Roll Bake will be a big hit with the family on Easter. 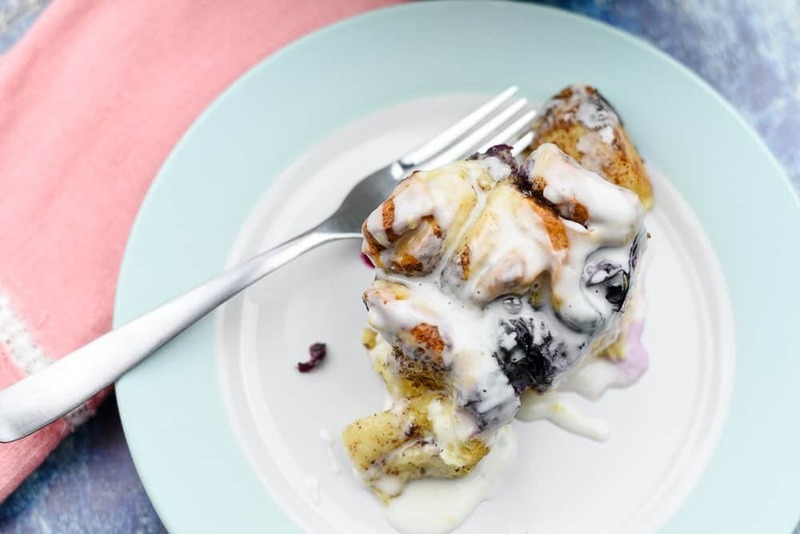 The brightness of the fresh blueberries and tangy lemon zest pair perfectly with the deliciousness of the cinnamon rolls. I always head to Walmart for all my Easter brunch needs, including the Pillsbury Grands!™ Refrigerated Cinnamon Rolls with Cream Cheese Icing. For this recipe, you’ll need two cans. 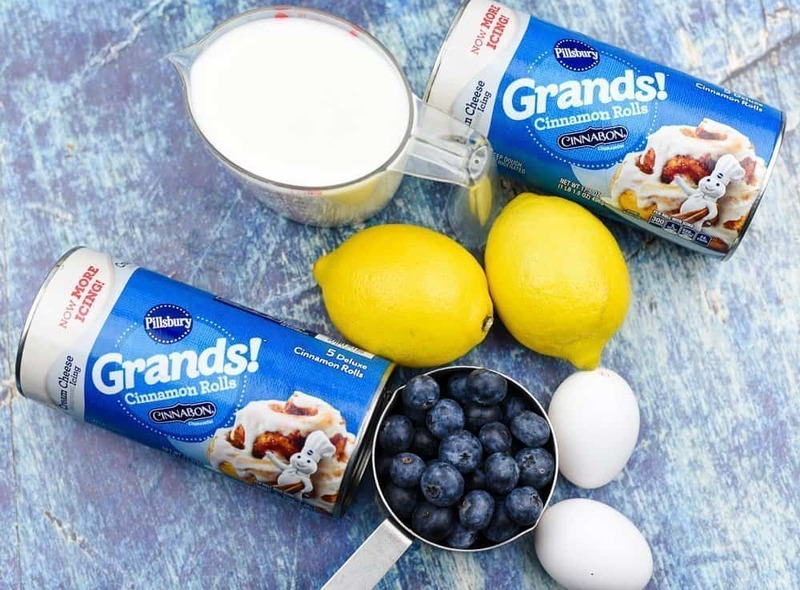 Let’s make a delicious Lemon Blueberry Cinnamon Roll Bake. You’ll only need a few ingredients to make this delicious brunch casserole. Spray a two-quart casserole dish with cooking spray. Cut each cinnamon roll into four pieces and place in a single layer. Bake cinnamon rolls according to the package directions and let cool completely. Whisk together the milk, sugar, eggs, and lemon zest. Stir in the blueberries. Pour egg mixture over the cinnamon rolls and refrigerate overnight. The next morning, bake at 350º for 30-40 minutes or until a knife inserted in the center comes out clean. Let cool for about 15-20 minutes. Mix the cream cheese frosting with the juice and zest of one lemon. 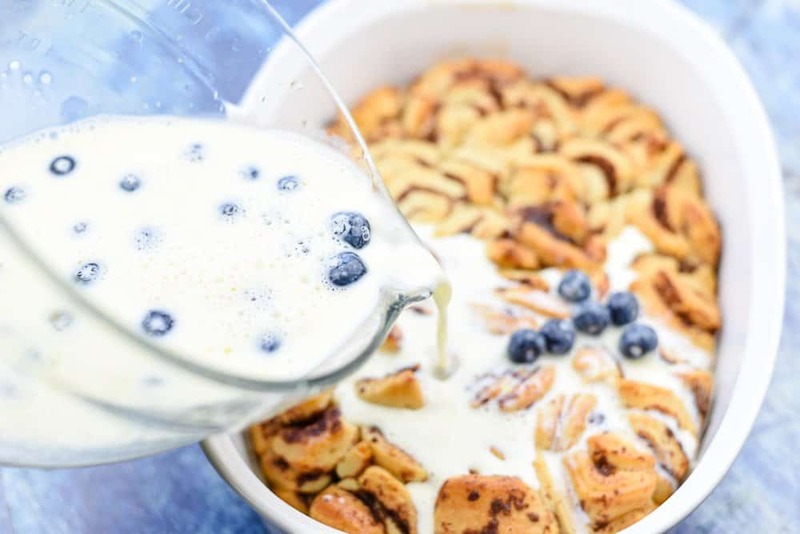 Pour over the top of the Lemon Blueberry Cinnamon Roll Bake. Remove cinnamon rolls from cans and cut each cinnamon roll into four pieces. Spray a two-quart casserole dish with cooking spray and place cinnamon roll pieces into casserole. Bake according to the directions on the can. Let cinnamon rolls cool to room temperature. Whisk together the milk, sugar, eggs and lemon zest. Stir in the blueberries. Pour the egg mixture over the cinnamon rolls. Let set in the refrigerator overnight. Bake at 350º F. for 30-40 minutes or until a knife inserted in the middle comes out clean. Let cool for about 15 minutes before topping with the Lemon Glaze. 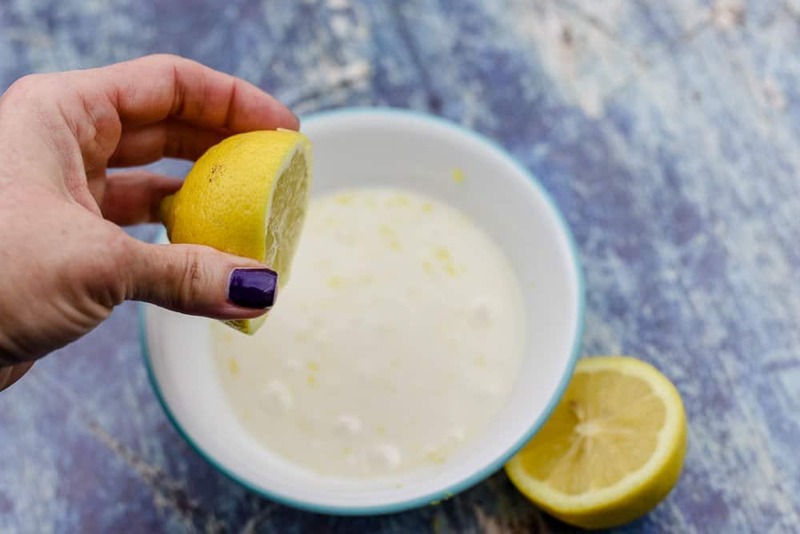 In a small bowl, mix together the cream cheese icing, lemon zest, and lemon juice. 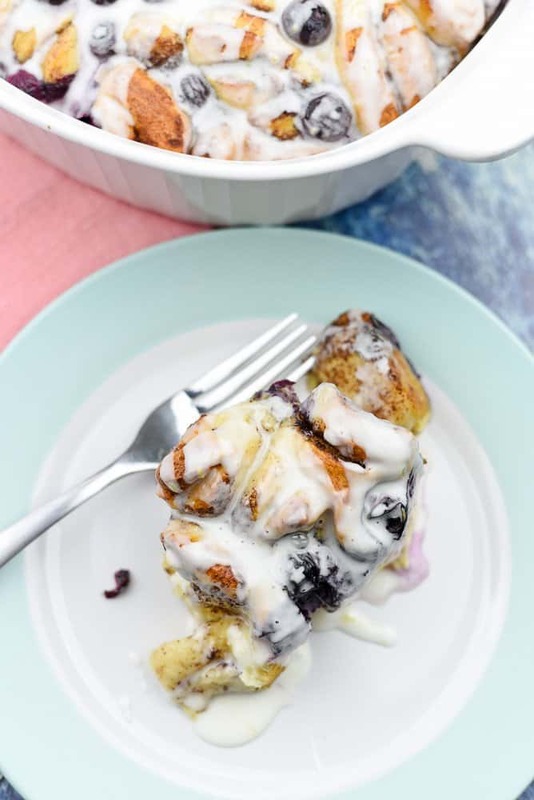 Pour the glaze over the Lemon Blueberry Cinnamon Bake. 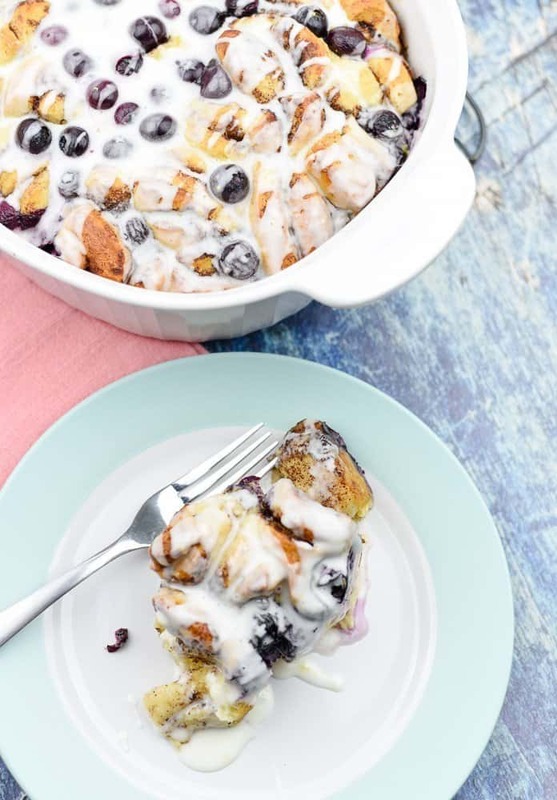 I’m looking forward to our family Easter brunch and I’m excited to serve my easy Lemon Blueberry Cinnamon Roll Bake. It’s simple to make and oh, so delicious. I do hope you try it! It is morning time here and I really wish I had everything on hand to make this right now. I can smell and taste it as I write. Sigh! Going to have to get everything to make this for the weekend. Yes! I would so love to have this for breakfast. I’d eat so many of them. What a wonderful flavor combination. There’s nothing better than a cinnamon roll in the morning along with your favorite cup of coffee. I love that this recipe has blueberry and lemon! It looks so good. I love fresh cinnamon rolls. I’ve never had them with blueberries, they look great and I bet they smell amazing. This is enough to have me floating in heaven. I think it’s really nice that you added a bit of “Spring” into it with the lemon and the blueberry. It’s perfect for Easter brunch, indeed! This looks amazing! Saving the recipe to try when we have the boys over-I’ll bet they’d really like it! You totally had me at cinnamon roll – and the fact that it’s a bake?! Yes, please… sign me up twice. Can’t wait to seriously try this one out. I never thought of doing a twist like that on a cinnamon roll but my gosh, it looks delicious! I bet the addition of lemon and blueberry really elevated the flavors! Cinnamon rolls with a twist! Yum. I love how you “glammed up” this dish. I will make this soon as I have all the ingredients together. I can just imagine the delicious aroma filling my house as this bakes in the oven. I love a basic cinnamon roll but this one looks even better. The combo of blueberry and lemon is pure perfection! Can’t wait to try this! My mouth is watering., This is seriously something I could live off of. Cinnamon rolls are my jam! I would love to sink my teeth into one of these. 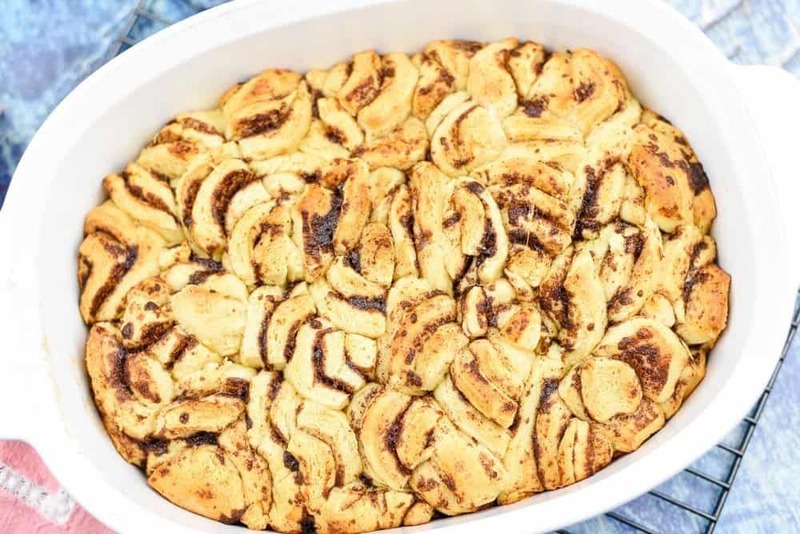 I love a good cinnamon roll recipe and you use took it to the next level with this yumminess! I will be trying this asap!! These look sooo good! I know my I could definitely surprise my boyfriend with these and he would be super thankful! This is the kind of breakfast I wanna wake up to in the morning. Just look at how good it looks! YUM! Love that glaze as well. I think this recipe is a keeper. This is my kind of cinnamon roll! I need to try this ASAP! It sounds amazing! I bet these smell absolutely amazing while baking. I love finding easy recipes for Easter brunch because we’re always in a hurry on Easter. And every other day so I’ll get a lot of use out of this.